The Bluebirds are Nesting...: The Vicky Challenge. Money saving recipes. The Vicky Challenge. Money saving recipes. Last week I had quite a few money savers. Plus I hope that learning how to keep sourdough and make all kinds of things from this has given me lots of savings in the future. $300 in savings from DIY painting. $50 from making up two presents from soaps and my cooking. $20 from all the gingerbread. $100 from making all the lunches. This gave me a $470 total. I can't believe there are only a few weeks to go and I will know my yearly total! Last week we were talking about keeping the costs down when taking food to an event, pooled dinner etc. and also when we make gifts of food to give. Already I have some of your best recipes to share! There will be a part two and maybe a part three I think. Anyway tried and tested recipes are wonderful. We have some USA to AU differences in terminology, measurements etc. Feel free to ask questions. Google can sometimes help. I had to ask google many things such as what is a stick of butter? We don't have those... Google gives quick weight and measurement conversions, temperature conversions etc. I have recipes I am going to try for sure and when I do I will post the pictures of those also. Thank you to everyone for sending in your recipes and photos! We all feel like we know each other. Somehow it is lovely to see what you cook! Firstly Rachel shared a recipe she makes. I really like the sound of this. I don't know how it works but I know some kind of magic happens when you use dates, boiling water and bi carb soda... something sticky and yum! Combine the above set of ingredients. Bake in moderate oven 35-40 minutes [25 minutes in a small oven], using a loaf tin. This looks to me like a lovely thing to make at home, for afternoon tea, or for a gift! Imagine it wrapped in cellophane with a bow. Lovely! Process biscuits and cheese together. roll into balls. Roll in chocolate sprinkles. place in the fridge to firm up. Try not to eat too many. This made up 14 golf ball sized balls. For those without a processor, crush the biscuits finely then mix with the cream cheese. You could use coconut instead of chocolate sprinkles. You could place naked Tim Tam balls in the freezer then cover in melted chocolate. This basic, delicious recipe, has any number of variations. Note Aldi Divine biscuits can be substituted. 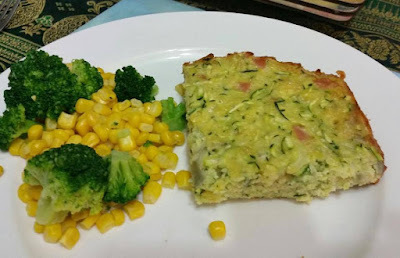 Now I am glad of this next recipe as it is so useful and there are many variations but it is healthy, economical when Zucchini are in your garden or cheap and can be taken on a picnic, packed in lunch boxes and so on. 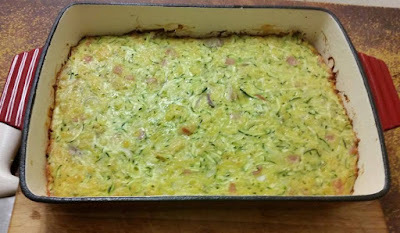 This is Jane's Zucchini Slice. Grate unpeeled zucchini. Finely chop onion and bacon. Combine all ingredients. pour into a well greased lamington tin (I use a lasagna tin). Bake in mod oven 30-40 mins. We had this for dinner tonight. It's delicious hot or cold. When the children were small this was a lunchbox favourite. additional oil or butter for brushing. cool to room temp and then refrigerate to harden. Break into pieces. keep out of them) in the freezer. 1 lightly greased 13 x 9 inch baking pan. 16 ounces of powdered sugar. very rich and only a small amount is needed. add extra lemon zest and juice or lemon extract to the filling. good sales making it a pretty cost effective dessert. Love Cookie. Thank you so much Cookie I really want to try this... anything gooey is good with me! Directions: Prepare red beans until they are soft and ready to serve. and chicken broth in slow cooker. Cook on low 8 hours. done. Salt to taste. Add butter to taste. Saute 1 pound smoked sausage, cut into bite sized pieces until lightly browned. that with the sausage. Serve. mixture and sausages after cooking each individually. Stir well. ***It is easy to make this recipe spicier, if that is your preference. This really interested me! Thank you Cristy! Thank you everyone! Sometimes just one new recipe is a money saver for us. When we find something that the family loves that isn't expensive to me we are on to a winner! How did you do with your Vicky Challenge or how did you save last week? I am hoping to get this week off to a good start. I did a lot of cooking over the weekend and do not have to cook for a couple of nights which I love. I have Christmas things to do. Things to post, things to wrap! Labels: Cooking., Saving money., The Vicky Challenge. I keep seeing recipes for mug cakes and also pictures on Facebook. I was thinking these could lead to a really good gift i.e. a mug with some of the dry ingredients and recipes. mmm I am going to check this out and try them now! Oh no about your zucchinis. At least I know you have eggs! I hope no more fox problems. Annabel a few years ago I did a hamper of things for our children, I included mug cakes for our daughter. It is on the list for next Christmas. Annabel you had a great savings week and I did not. We didn't go anywhere to spend any money. We stayed at home and had a very quiet, do nothing week. We did all the cooking of all the meals and there was some baking done. It was such a hot week we didn't move too far away from the fans. 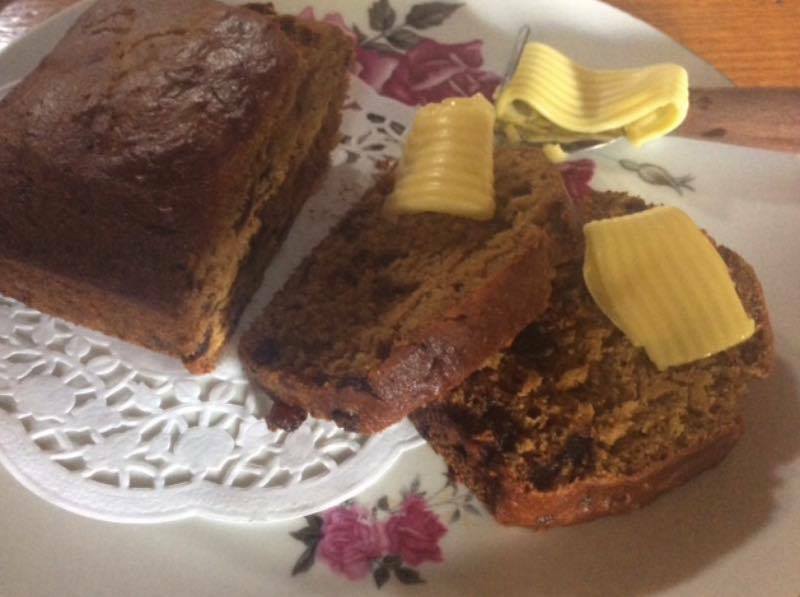 I have been looking for a yummy date loaf for ages. Rachel not only produces lovely food she also makes it look so morish with her gorgeous photos. This loaf will be finding its way into our cake tin soon. Life is way to hot but it is good. Jane, about the heat, my husband said, "You said it!!" We did, finally, get a good storm on the weekend, with a good inch of rain. The ground has soaked all that up, and we need plenty more! Did I mention peach leaf tea?!!!! Staying home and having a quiet week is really good savings in itself. I am going to try Rachels recipe also. I love dates. And she does take gorgeous photos! We haven't had true heat yet. When we do I will be staying indoors, maybe sewing. I dread it actually as the power is bound to go out. Hi Annabel and Bluebird Cooks and Bakers!! I'm all hungry again!! I do enjoy prized recipes. 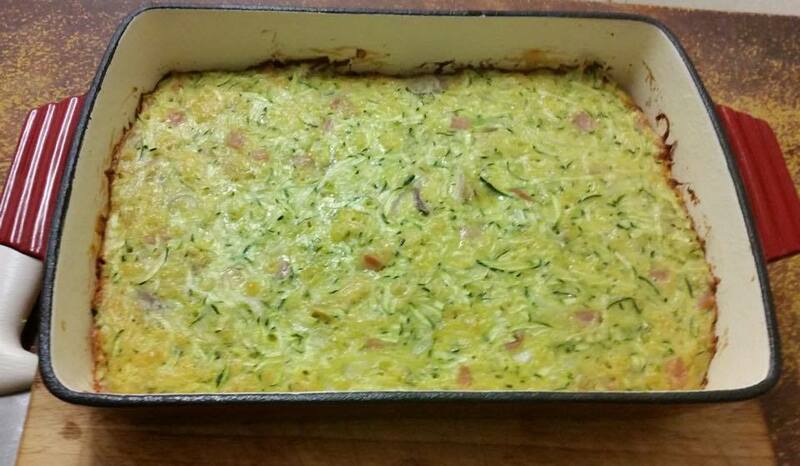 Jane, I'd love to make a choko variation of your zucchini slice, in the appropriate season. That does look so very tasty and refreshing! I'm contemplating the thought of cream cheese-sweet combinations. Apparently we can make cream cheese from milk in a simple manner so very similar to one method of making ricotta! I love seeing how ingredients are packaged in America, so the opposite might also apply! Cookie, I'd love to see your recipes as pictures! I am thinking that your Cookie Rolls must be very light and wonderful to eat. Mmmmm, a Queensland version could be interesting to try! Again, the cream cheese aspect of your butter cake recipe seems inviting. The butter-dark brown sugar, caramel aspect is also inviting. You've given us a challenge! 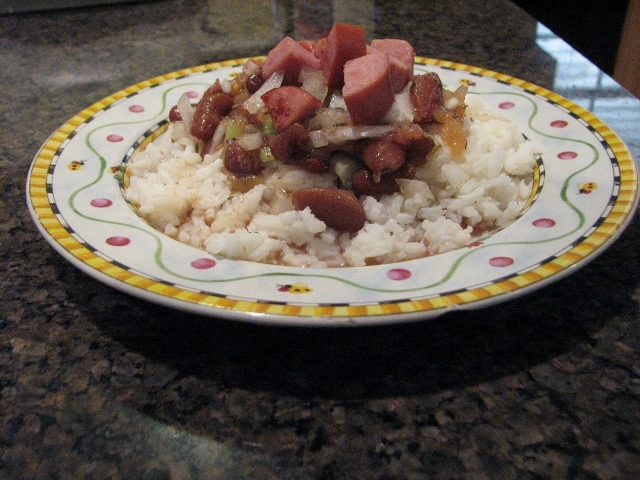 Cristy, thank you very much for putting your red beans and rice together - considering the bean preparation and slow cooking!! We have rice to use, and I am quite interested in these recipes. I like the herb and spice combinations you're using here. I could try this soon - a chilled version for summer weather?! 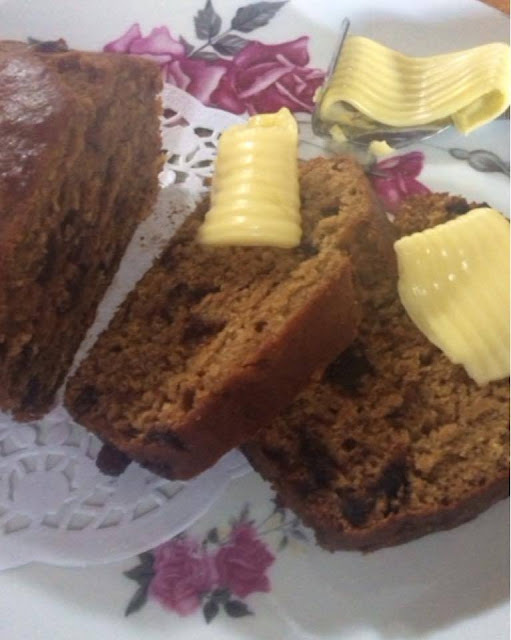 Thank you, Annabel, for this very enjoyable recipe sharing! How am I saving right now? We're just taking up summer mode and just surviving the warm weather - lots of drinks and suitable meals. Well, peach leaf tea costs nothing!! It's keeping me hydrated, and that's really something! With very warm regards, and looking forward to more food!! Cookie, I just looked up medjool dates. I really think any dates will work. Anyway, you're a good cook, so you'll make it work!! I could try emailing a slice, only, being almost breakfast time here now, it will be some other time for you - and the cake is long gone!! It's a misty, moisty morning!! Rachel the choko version of the slice is delicious. This slice can have all sorts added and subtracted. It is also really nice with kumera, orange sweet potato. I have discovered that you can get battery operated fans. Some are chargeable from power or use D batteries. When things are dire such a thing could be very good. Keeping hydrated is number one. Peach leaf tea sounds good. Do you dry the peach leaves or is this with fresh leaves... since there is a peach tree out the back I should find out about this! It sounds like choko will work just fine with the recipe! Thank you Jane! I am keen to try it with the sweet potato! Jane, thanks for the confirmation on choko. I hope they grow this autumn! Annabel, peach leaves can be used fresh or dried. Apparently, people make cold water infusions by sitting the leaves in cold water out in the sun for, I think, at least half a day. Since we boil our rain water for drinking, I use the hot infusion/tea method - leaving the leaves in boiled water for a good few minutes. There is a slight almond-type bitterness, which I find refreshing. Peach leaves are supposed to be cooling, rehydrating (as opposed to the dehydrating action of tea and coffee), good for the digestion (and women), and can even make one sleepy! So there! I simply find it easy to drink by the large cup load! ----- Yes, fans are good! My husband, not finding what he was looking for in the shops, took fan parts out of an old car, mounted it on timber and hooked it up to an old car battery for rapid cooling if it's really hot. (The battery charges from the generator.) It's in development, and quite fun!! I have found a shady place under the macadamia trees. I think I ought to make a hammock to rest there in really hot times! Also, Annabel, with a storm on the weekend, our old mains supply of power was out - again. We use the power outage checker of the power company, on the internet, to check on things. My husband thought it rather sweet that we could continue on as usual, and have hot tucker on our plates that evening! I am laughing. Another bird reference is funny as they keep coming in and its such a thing now! I have to use that one somewhere! Well I never have had wonderful success with yeast. Now and then but mostly getting things to really rise well has been a failure. They just sit there doing nothing. But this sour dough you can't keep it quiet. You turn your back and the thing has risen inches. You beat it down, roll it out, answer the phone and come back and its giant again. mmm should I be afraid? Anyhow its a discovery and now I am trying scrolls. I know you have a lot of good recipes, economical too. I love your recipes in four sentences. These are my kind of cooking. There are so many possibilities. Its an interesting subject since many foods are very expensive now yet we can beat that! Thank you so much, Annabel, for all the great recipes. And thank you for posting my recipe, too. Thank you so much for the recipe and the photo! This is a true economical recipe, hearty and comfort food too. You had wonderful savings this week. After reading everyone's recipe's I'm famished. I look forward to making them all. One of the things I left out of the cookie roll recipe was how thin to roll the dough out and into what shape. Roll the dough out into a rectangle that's about 1/4 of an inch then brush with the filling and roll up like a jelly roll making sure the seam side has been sealed and place it seam side down on the pan. I've been either watching my Nana or Mom make this all my life so it's easy to forget to put in the small, but really large, details. Thank you for explaining that. That is true, when we have been doing something for ages it seems normal to us! Baking with a friend sounds lovely! As soon as you mention that I know you are probably saving a fortune right there. Snow! I can only imagine. I really have come to love winter and the feeling of being snug indoors with cooking going, crochet out... lovely. You're such a clever Cookie - to get that photo for us! I really think I'd like to make your Cookie Rolls, and how lovely to have a collection of Bluebird recipes! Thank you kindly! I don't think I managed to comment at the end of last week (did I??? :)), but I just loved your moose gingerbread cookie! These recipes all look delicious...thanks to everyone for sharing! I went to take a picture of my two finished items for the Christmas Show and Tell and found we have no batteries for the camera, so I will have to roll them into the next Show and Tell. I got a dress sewn and a pair of sock knit (big surprise :)). Just have to stamp a pair of p.j. 's with fabric paint and trim a snood (yes, a snood), and maybe knit a hat or two and that's it for present making, I think. Just the Christmas baking to do! Hope you have a wonderful week, Annabel...you are a constant inspiration. Dear Jen, My Moose cookie cutter was from IKEA I am not sure if you have IKEA up there... but it is pretty cute! You have made so much this year. I would love to see the dress! Also stamping your own pattern on to pj pants! I would love to see this also when you have batteries! Well everything really as I would like to see the knitting and the snood. Dear Annabel, thank you for a lovely post, thank you everyone for the recipes. Rachel I will be trying the eggless date roll, I will probably ask my mum to make it for us.it is perfect for me as I am intolerant to egg. Annabel, it has been a very quiet week for me , cleaning and other services $70 savings approx , grocery savings $25 approx,plus this week I have had an almost $20 a fortnight decrease in rent total savings for the week approximately $115 . Have a good week everyone. Love Barb W.
That really warmed my heart to read that the date roll recipe may suit you, and it's cool enough this morning to have my heart warmed!! This past week, I signed up with a midwife and had my first appointment! She sent me to a place that does free ultrasounds, and on Thursday I got to witness the miracle of my baby's heartbeat!!! That is by far the most amazing thing I have ever seen. My husband was with me and we are just overjoyed! I am eight weeks along today and I have another appointment in two days. I hope all is well and everyone has a good week! Oh this is wonderful news! I had been a bit worried about you not feeling well but also I thought I should email you and check how you are going. Well this all sounds very good! What a good experience and I am pleased your husband could be there as well! I really wanted to know how the news went over at Thanksgiving as you said you were telling everyone then as a big surprise! I thought I wished I could have seen this! I think this means you are due end of May or June? Anyway your baby is the best news ever and if you can have Bluebird Aunties then you have a heap of them! Thanks, Kelsey, for getting back to your feathered friends! It's wonderful news!! Thank you Kelsey! PURE, UNIMAGINABLE JOY to witness your baby's heartbeat, isn't it!? I'm so thrilled for you, and praying your sense of smell, taste, appetite etc., all calms down for you! It will be normal again, I promise you! Dear Shelley, Thanks for the tip off on the cream cheese special. I love cream cheese and want to make some of these balls so I will be stocking up. I would use about equal quantities of any vegetable and you could do half and half or a mix also. Pretty colours as well! 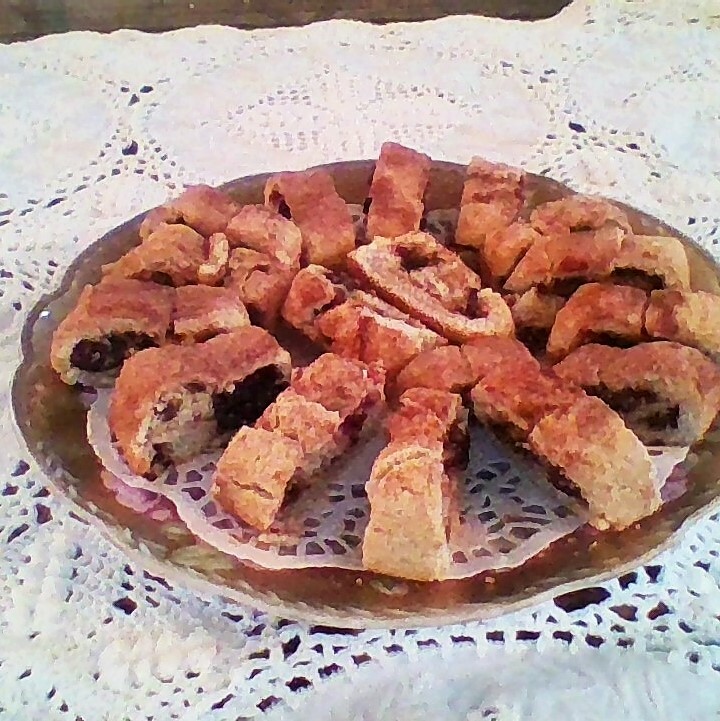 Good morning everyone, thank you for sharing your recipes with us all, love the recipe for the date roll will be making that to slice, wrap and pop in my mother in law's freezer along with some scones. 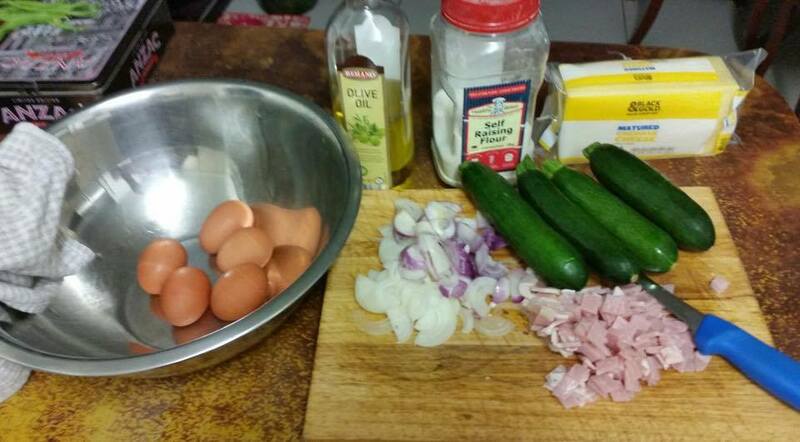 Jane I make my zucchini slice without oil - just throw in a few extra eggs until the right mix is found. Having said that I am now going to think outside the square when making it and use other vegetables rather than zucchini. Funny how we get stuck in a rut. Kelsey this Blue Bird Aunt is glad that you reported in - thank you for sharing with us. We had a horrendous day yesterday - really hot and I had a Christmas function to attend - we had paid a couple of dollars a month towards it so it was all paid for apart from some of the drinks. The function place had air conditioning but it wasn't hitting where we were so it made it less than enjoyable. The worse part was when we got back to where our cars were parked and we got out, it was like stepping into a furnace. We had a storm come through in the wee hours of the morning which has meant a cooler start to the day. At least we can start the day of feeling a bit more human. With cooler weather I can make a start on doing the cooking for my mother in law - I was surprised when I saw her last Friday at just how much she has aged - sometimes it only takes one fall and they get sick and slip away. Everyone has been told not to come in for Christmas lunch - there should only be 4 of us rather than the 30 I cooked for last year. My mother in law is just not up to it at all. It is sad seeing her life coming to an end, she is tired and ready to go. Best get on with my day and take advantage of the cool. PS Annabel I did give our daughter the makings and instructions for a mug cake a number of years ago - it is on my list for next Christmas. That is sad that your MIL has ages so fast. I know that a fall can be a terrible blow. My very elderly neighbour was fine in her own house until I think 94 then she had a fall and suddenly she was just no longer able to keep going at home. It was so sad. She had done so well though! It sounds like keeping things simple and quieter will be better. The heat really takes it out of you. You seem to have had really extreme weather and I just saw SE QLD has more storms. I basically dread the heat. It is hard on everyone. Let alone if you don't have air conditioning or the power is out etc! I don't even want to think about it! Thanks for the tip on the zucchini slice. I think a mix of vegetables and colours too would look lovey and taste good as well! It could be "use it up" slice then! Oh, goodness! The right recipe (or set of recipes) can be such a saver of sanity as well as money. I had three Christmas parties to attend last weekend and my pantry and gift stash rescued me once again. As you mentioned on my Facebook page, having time on my side is a huge help! Feather your Nest Friday, 30th December 2016. Feather your Nest Friday, 23 December 2016. The Christmas Challenge. Anything and everything! Feather your Nest Friday, 16 December, 2016. The Christmas Challenge. This and that. Feather your Nest Friday, 9th December, 2016. Feather your Nest Friday, 2nd December, 2016.